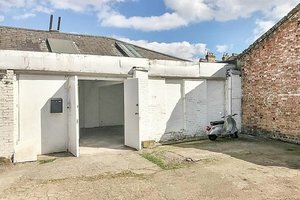 The self contained light industrial unit is an edgy blank canvas in a surprisingly quiet industrial estate just off Stoke Newington High Street. 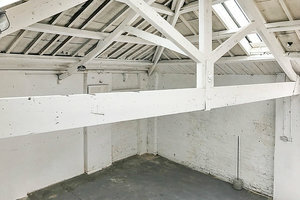 The area to let has exposed roof trusses, with pitched roof and a floor area with a private entrance with loading doors, a storage mezzanine, bathroom facilities, a dedicated car parking space, insulated office space. 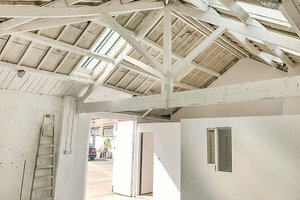 This space has recently been renovated with the walls white-washed. 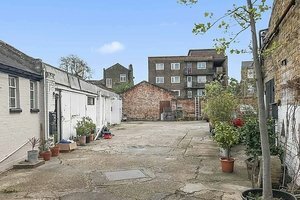 Accessed through a gated courtyard this space is secure and offers freedom to configure and adapt the space to fit your needs.